With decades of experience, Attorney W. Douglas McKeague goes above and beyond to deliver the best possible outcome for our clients. The Law Offices of W. Douglas McKeague knows how to provide you and your family with the compassionate legal representation that you deserve. We have been proudly representing families in the Southern California region for more than 35 years and understand how to best care for your family's unique needs. Hiring a divorce attorney in Orange County should be an experience that gives you confidence. Don't put your family, future, finances, or security at risk. Come to a local divorce law firm that completely understands your rights and actively pursues the best possible results that protect your interests. Our mission is to provide your family with tireless, tenacious representation. Contact The Law Offices of W. Douglas McKeague for a free consultation with an OC divorce attorney today. 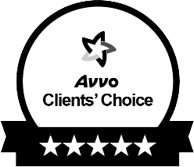 Why Choose Our Divorce Firm? 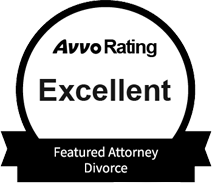 We have specifically limited our practice to focus exclusively on family law and divorce. From contested divorce and legal separation to property division and child custody agreements, an experienced divorce lawyer at our firm can assist you with nearly any type of legal family matter in Orange County. Our attorney has earned a reputation for helping our clients reach mutual agreements without court involvement through the process of negotiation. Though litigation is typically not ideal for family matters, we are not intimidated to go to court on your behalf in the pursuit of securing the best possible resolution for your family. Litigation is not usually the first choice for handling divorce matters, especially when you are dealing with sensitive issues that can have a significant impact on the entire family. If we are able to determine that your case can be best approached and resolved in a courtroom setting, however, then we can be trusted to represent your case to the fullest extent. As a seasoned litigator with decades of trial experience, Attorney W. Douglas McKeague knows how to utilize every resource to protect your rights. Don't go to court without our firm at your side. If you are still unconvinced that our is the right firm for you, we encourage you to learn more about why you should hire us. Call our office in Santa Ana. If you have any more questions regarding our abilities or your particular case, we would be happy to listen and address any of your concerns.  We have built our firm on several foundational beliefs that have earned us a reputation for being one of the leading family law firms in the Southern California region. At The Law Offices of W. Douglas McKeague, our Orange County Divorce Attorney truly believes that there is no substitute for experience. If you wish to learn more about how our firm can be of assistance in your divorce, we encourage you to contact us. Contact The Law Offices of W. Douglas McKeague to schedule a free initial case evaluation. Speak with an Orange County divorce attorney today!